England could be handed a major boost ahead of their Six Nations opener with France on Saturday 4th February, with the news that Joe Marler could be fit to start ‘Le Crunch’ at Twickenham. The loosehead prop fractured his leg just 11 days ago whilst warming-up for Harlequins as they prepared to face Sale. 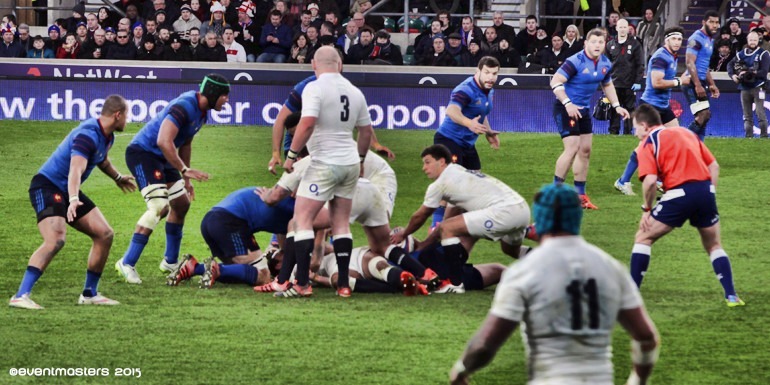 After MRI scans revealed that the 26-year-old would be out of action for at least five-weeks, England faced the prospect of starting the Six Nations without their two star looseheads – having already lost Mako Vunipola to injury. But it has emerged that Marler is a 50/50 chance to make the starting XV for the France game in 16 days time – in what would be a remarkable comeback. In the absence of Marler and Vunipola, Wasps prop Matt Mullan looked to be in pole-position to start against France after a strong season for the Coventry club. Bath’s Nathan Catt and Leicester’s Ellis Genge are also in the frame but Eddie Jones would welcome the return of Marler, who has made 46 Test appearances for England since his debut in 2012. Eddie Jones has revealed that current England captain, Dylan Hartley, could face competition for his place in the team in the near future.